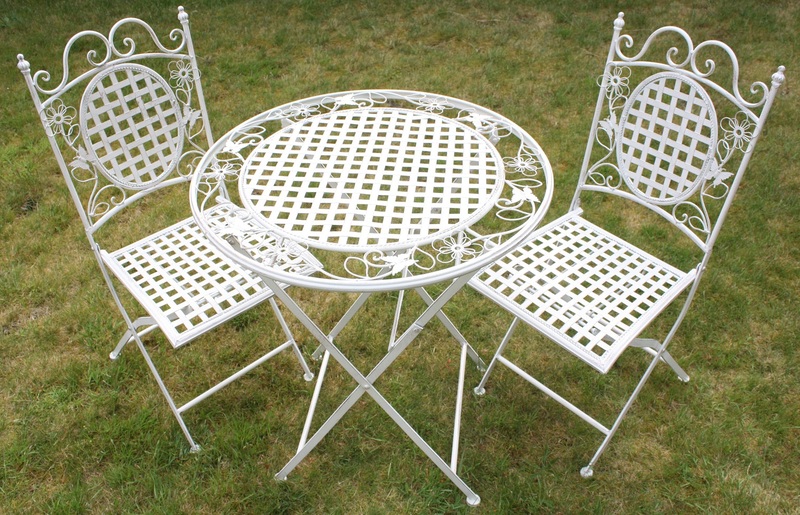 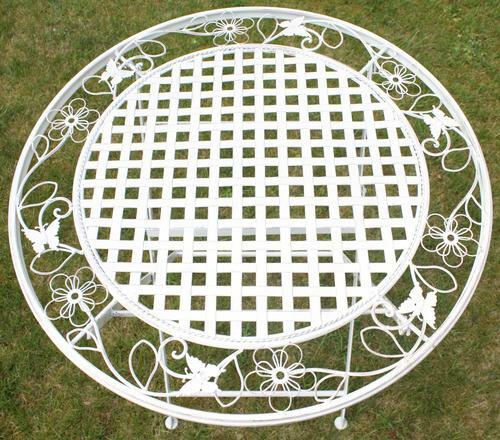 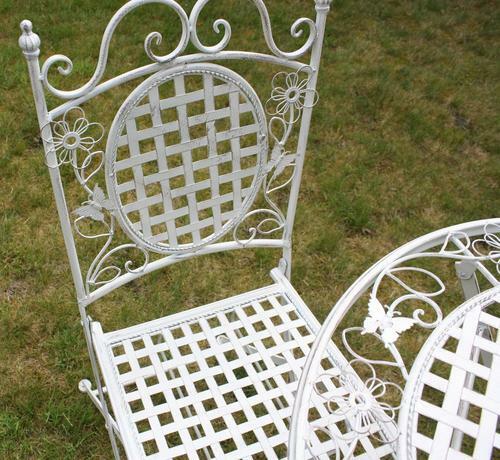 The Maribelle® White Metal Round Folding Patio Table And Two Square Chairs has a lovely floral design with a rustic finish - it is not perfectly white. 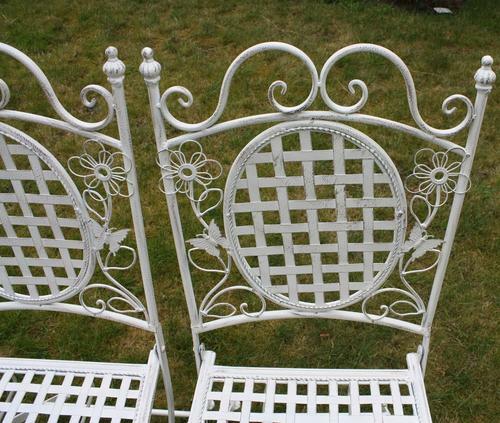 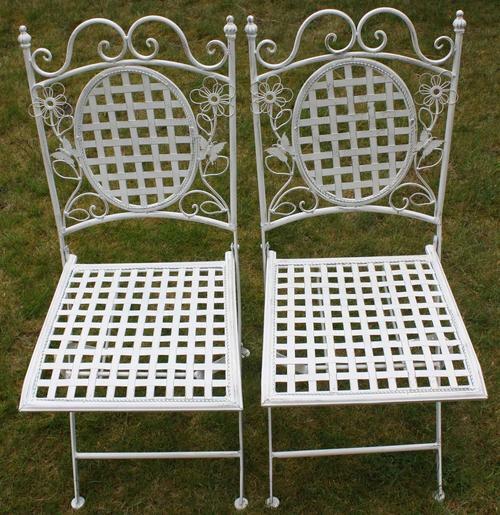 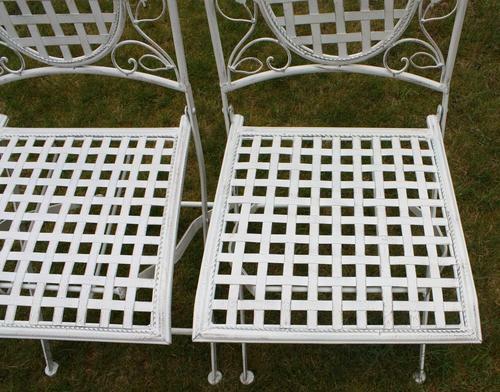 This set would look fantastic in your garden. 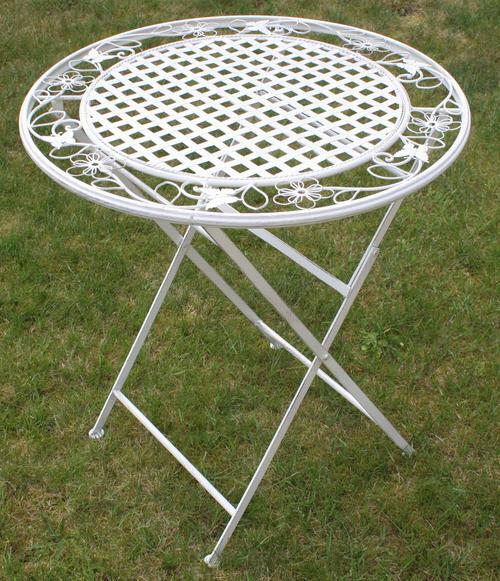 Very easy to set up, it simply just opens and folds in seconds. The table is strong and sturdy, made to last. 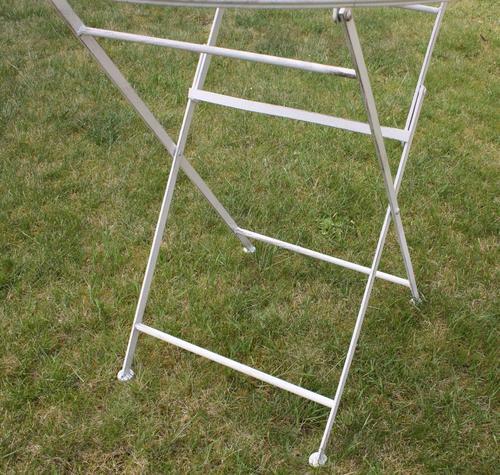 Small pack size for easy storage, if you ever wanted to pack it away. 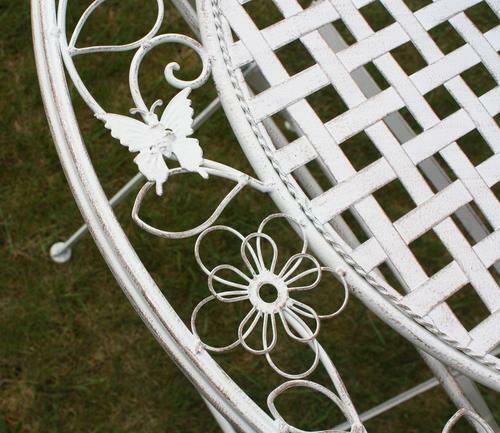 Colour: White with a rustic finish, material: metal, dimensions: Table top diameter: 70cm Height: 75cm Seat height: 45cm Overall chair height: 93cm Chair width: 37cm Chair depth: 40cm, weight: Table: 7.5kg, chairs: 6.5kg each.